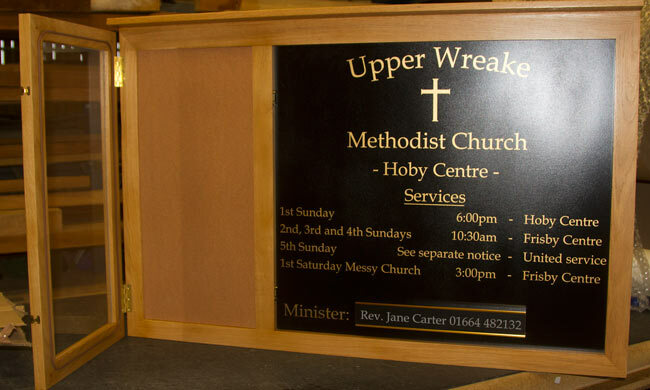 The Sign Maker for the very best in Bespoke Signs & Signage : Wooden notice boards made just the way you want.. 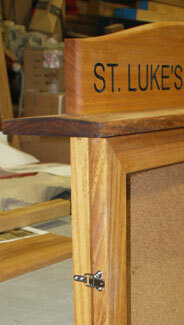 Wooden Notice Boards - Oak, Iroko or Sapele - For Indoors or Outdoors. 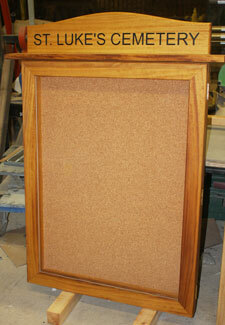 This wooden notice board was made to our customers requirements by our carpenters. The overall size was 1253 x 800mm. The timber used was oak. The panel material was Tricoya. This is a wood-based rot-proof board with a 50 year lifespan. 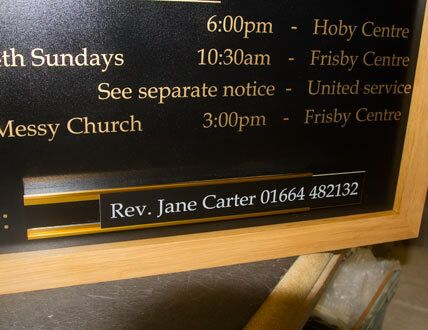 This wooden notice has been divided into two sections. There is a cork backed board with a door. The oak framed perplex door has rubber seal to help keep the moisture out. 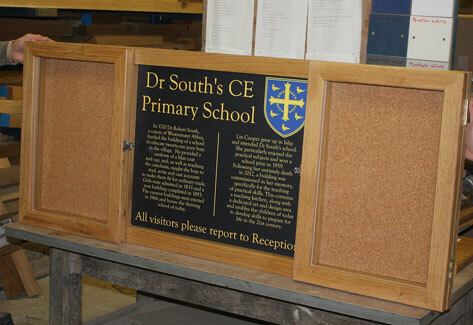 Although the bespoke wooden notice boards are usually made of oak, we can also make them in other timbers. 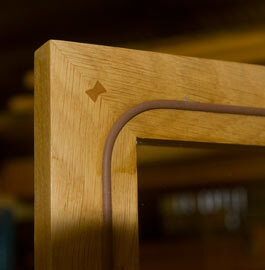 Iroko is similar to teak and is full of its own oils so needs less maintenance. Sapele is similar to mahogany and is a deeper red colour. As standard we treat the oak and sapele with a wood preservative and the give 3 coats a a satin finish commercial varnish. 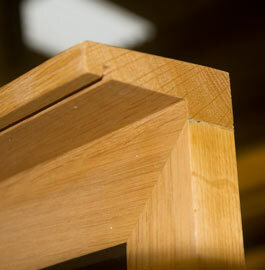 Iroko is treated with Devon Oil although Osmo oil could be used. Another option is to have them painted - see colours. 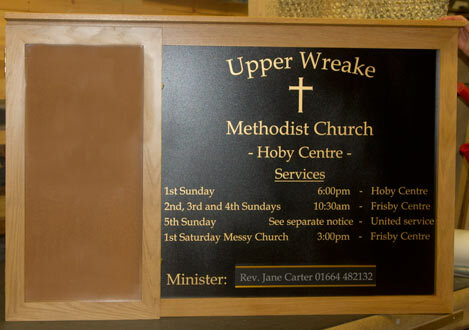 Our team at The Sign Maker looks forward to helping you with your bespok wooden notice board..